Thank you for sharing our love of quilts by taking care when viewing: please avoid contacting the quilts with hands, food, or oils. Quilts are listed counterclockwise from facing the Tie Dye quilt in front of the fountain. Quilts 4-13 appear in this Instagram photo as well. This quilt began in a Sherry Lynn Woods Improvisational Round Robin workshop at the first annual Quiltcon in Austin, TX in February, 2013. It was quilted on a home sewing machine. For me the “modernness” of the quilt comes from the time in my life when I made it, it’s not my grandmother’s quilt! It also comes from the beautiful textiles that are on the market today and the use of a very geometric shape. I did not follow any pattern or cut a specific number of colored pieces – the pressure of getting the counts right would’ve been too much to bear. This is the first quilt I ever made and I decided to make something that would get used everyday. My kids, husband, dogs and cat all sleep on it and under it. It represents who we are (all mixed up) and how we come together for peace and security. The “Barcode Quilt” is a hybrid of a 2D data matrix barcode and the Attic Window quilt pattern. I work for a label printing company, and the design was inspired by one of our regular jobs. The original barcodes were printed on a .2 x .2 inch label. The quilted barcodes are roughly 16 x 16 inches. If the large barcodes were scan-able they would read the word “quilter”. 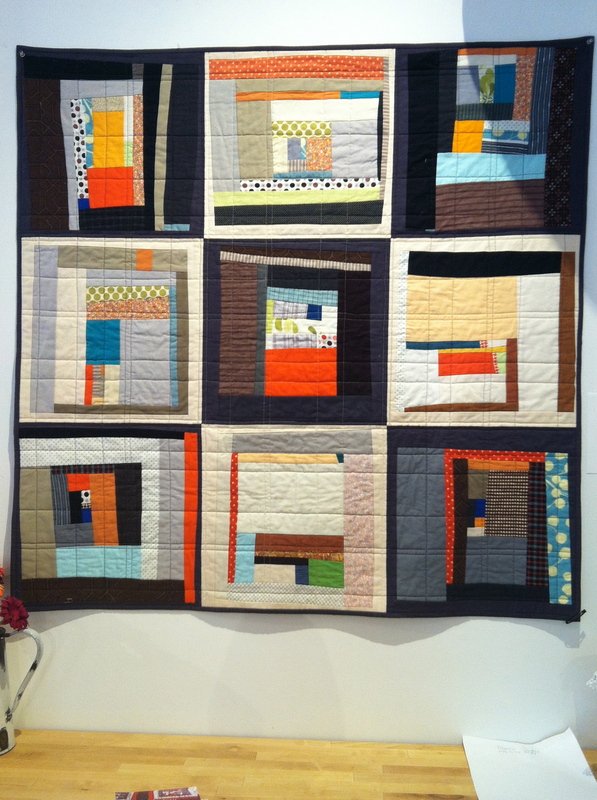 This quilt was made in an improvisational quilting class with Denyse Schmidt. It is done in a wonky free-form log cabin style with shades of orange, black and white with accents in blue. Historically a “quilting bee” was a gathering of women to hand quilt bed quilts. Today a “bee” or “hive” often refers to an online community sharing quilt blocks through the mail. 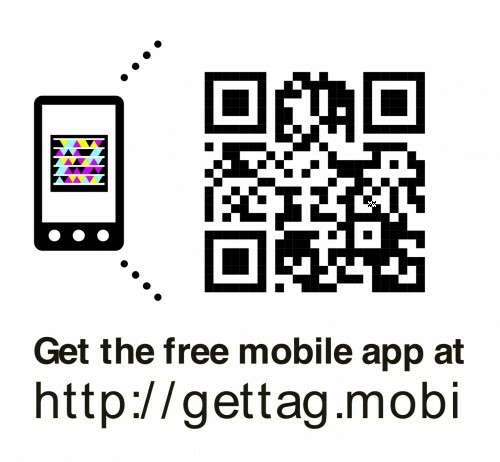 Scanning this through your QR Code scanner on your smartphone or tablet will take you to the Seattle Modern Quilt Guild website and online version of this tour with active links.